Whether you're new to online selling, or simply need a refresher course in basic techniques, you'll want to know how to write good product descriptions. Not only does a good description increase your chances for a sale, but there are some details to consider when crafting your description that can help place your listings in a position to win. Hugh Williams, formerly eBay's vice president of Experience, Search and Platforms, points out the importance of creating a comprehensive description in your listings if you want to increase your chances of gaining a sale. "Buyers really do take their time to study the descriptions that sellers provide," he says. While these principles apply to any online marketplace, let's focus on eBay because we know more about its policies and search engine practices. eBay's new search engine, Cassini, was expected to be fully operational in the U.S. by the beginning of this year. Its arrival brings the ability to provide search results based on keywords found in the item descriptions section, not just the title. This allows sellers prime real estate to insert keywords for search engine optimization. But you have to be careful not to force or exaggerate the use of keywords in a description. Search engine marketers and Google call this "keyword stuffing," says search engine analyst Adele Pfister. It's OK to place your keyword once in the title, once in the product description, and perhaps even once in your own "About" section. "Dropping a keyword in more than this may be seen as 'stuffing' when search engine bots crawl the seller's product page," Pfister says. 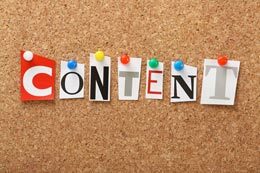 Generally, the content in your product description should flow naturally so that keywords are placed where they would naturally occur, Pfister adds. In other words, don't use keywords in places they don't belong, just to try to get better search ranking. "Search engines these days are advanced enough to know what you are up to when you do this and you can actually be penalized for this, resulting in a drop in the search ranks rather than a lift," she says. Your main keyword is going to be, of course, your product. If you sell the Big Hugs Elmo, for example, introduce the product in your description section and include some information about it. Try to think about what kind of questions potential buyers will have about the Big Hugs Elmo. Not only will your answers satisfy their need to know, but what you write will likely include the same keywords they're using in the search engine. Do not simply copy and paste information about your product from the manufacturer. There are many reasons for this. First, eBay has policies about copyright issues. If you don't have legal authority to use text from another source, eBay can penalize you, and nobody wants to deal with that, right? Second, having content that's identical to another source will actually hurt your attempt to place high in Google search results. A few years ago, Google introduced an algorithm called Panda. Pfister says this update to Google search results was created to weed out low-quality content, including duplicate content. In fact, Panda originally focused primarily on duplicate content. Many sites were scraping original content from others and sharing it as if it was their own. "The algorithm now allows Google to identify pages with duplicate content," Pfister says. "If a site has duplicate content, they will be dropped accordingly in the ranks." Pleasing the search engines is just one good reason sellers should describe products in their own words. Writing original content will also make you stand out to buyers. Why should someone buy from you when you're using words from someone else? An original description helps give buyers the feeling that what you have to offer is unique, not simply a me-too item they can purchase anywhere. In fact, you can include much of this information in the "Item Specifics," which ultimately helps buyers filter their search results so they can find exactly what they're looking for. Finally, it's always advisable to use good grammar, spelling and punctuation. Keep fonts, text size and color simple, and minimal. When you take a little time to describe your products personally, clearly and even a bit strategically, you give your audience more knowledge and more reason to click the "Buy" button. One day we're told to be sure and use ALL the space for the title and now it's 'keep it short'.